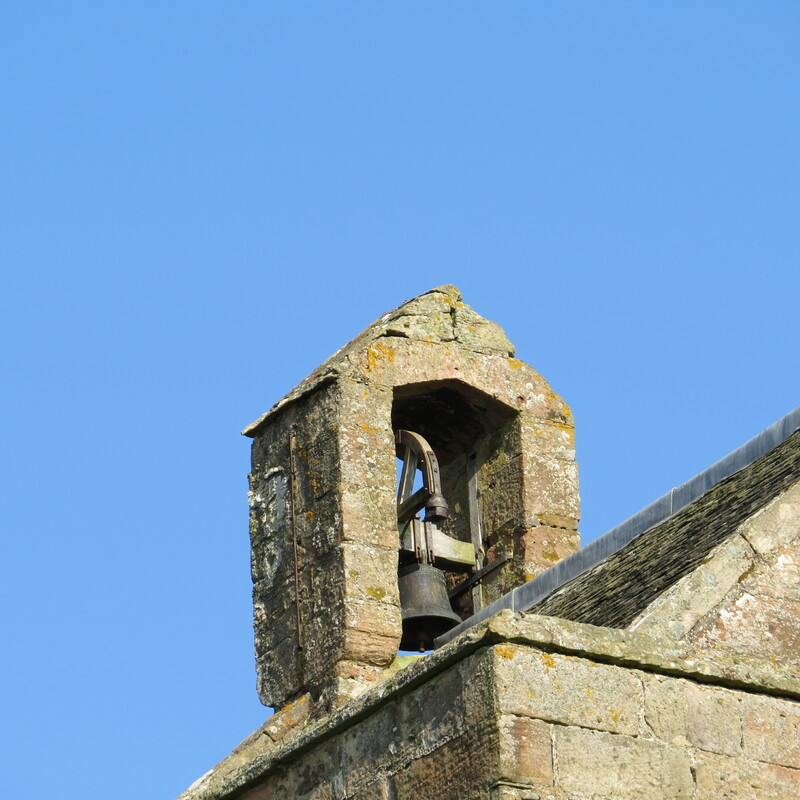 The Crichton bell was originally cast in 1619 and was recast in 1702 by Patrick Kilgour, an Aberdeenshire founder. 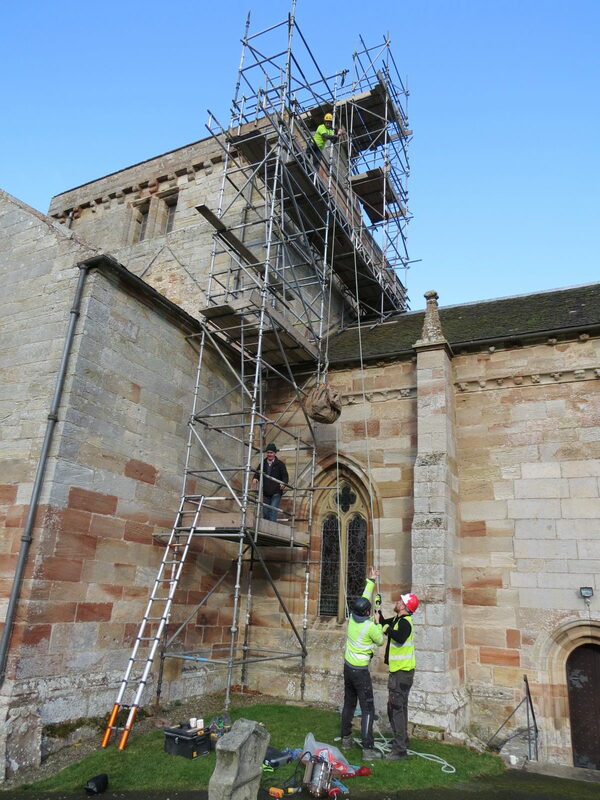 This was thanks to the generosity of Sir James Justice of East Crichton House. Sir James was principal clerk to the Court of Session. 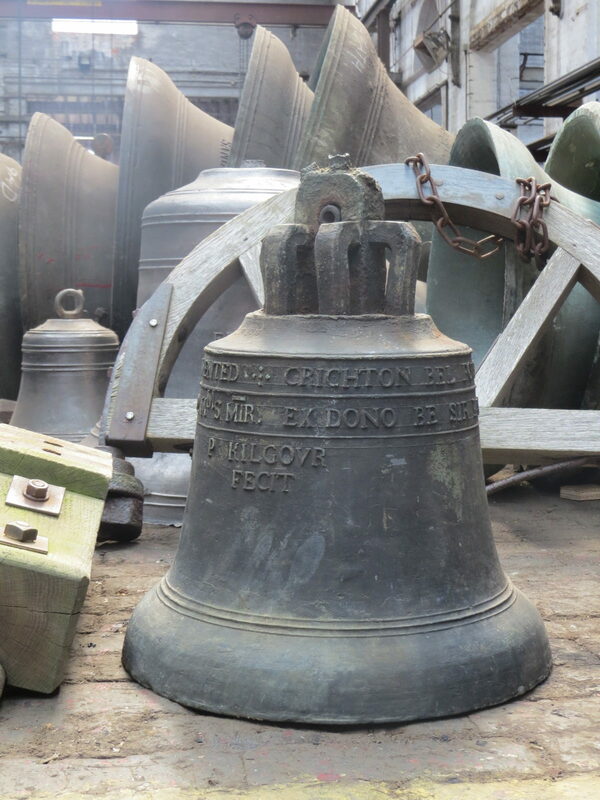 He also donated the four silver Crichton Communion Cups which date from 1731. 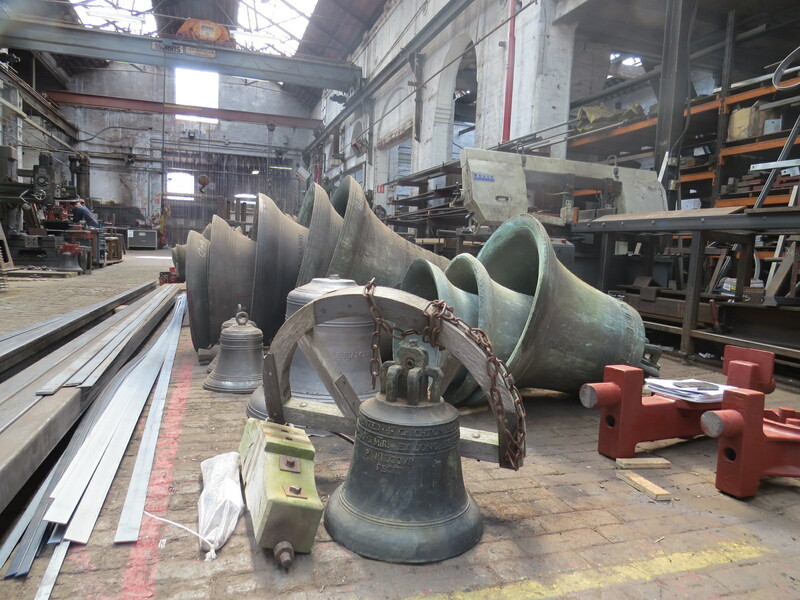 The bell is hung from traditional swing chime fittings, consisting of a carved hardwood headstock, shaped to fit over the canon heads of the bell; a half wheel with a counterbalance weight fitted opposite the bell rope attachment; a crude wrought iron clapper with an iron hoop clasp; wrought iron gudgeons, held to the headstock with bottom plates and a single bolt fixing each side. 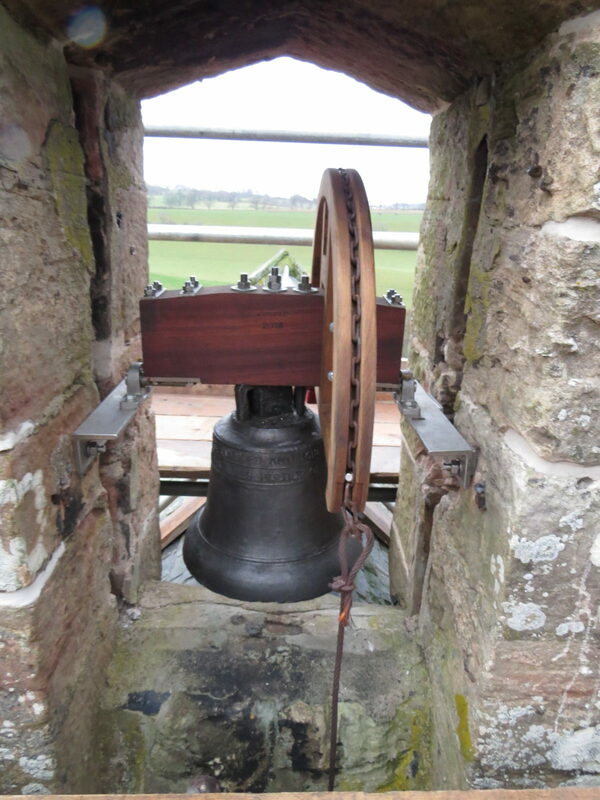 It is 381mm in diameter and weighs 54kgs. The bell was cast with six canons upon its head, formed as a means of attaching the bell to its headstock. A pair of the double canons had broken off at some point. The bell was made with a cast-in crownstaple within its head , formed as a suspension pivot for the clapper to hang from. 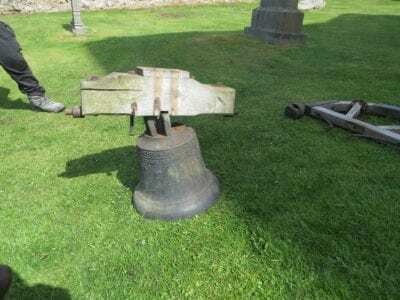 This was not a good design feature as cast-in crownstaples can cause bells to crack through the differing rates of expansion between the bell bronze and the iron staple roots. 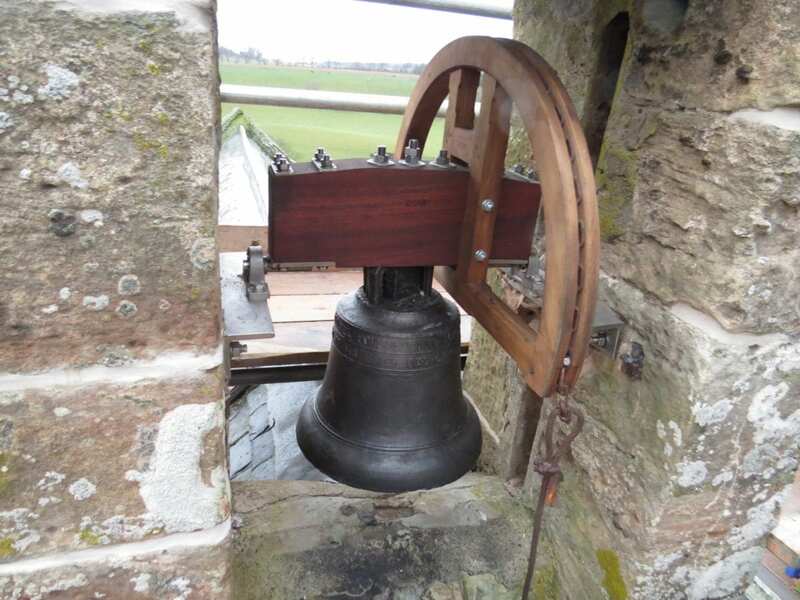 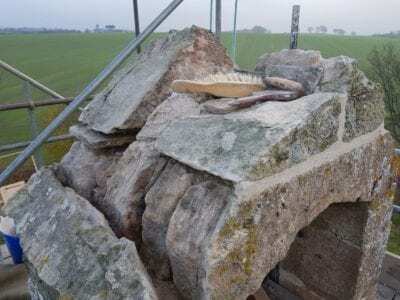 The restoration began in May 2018 and involved removal of the bell, which was carried out by Edinburgh Stonemasons Ltd. 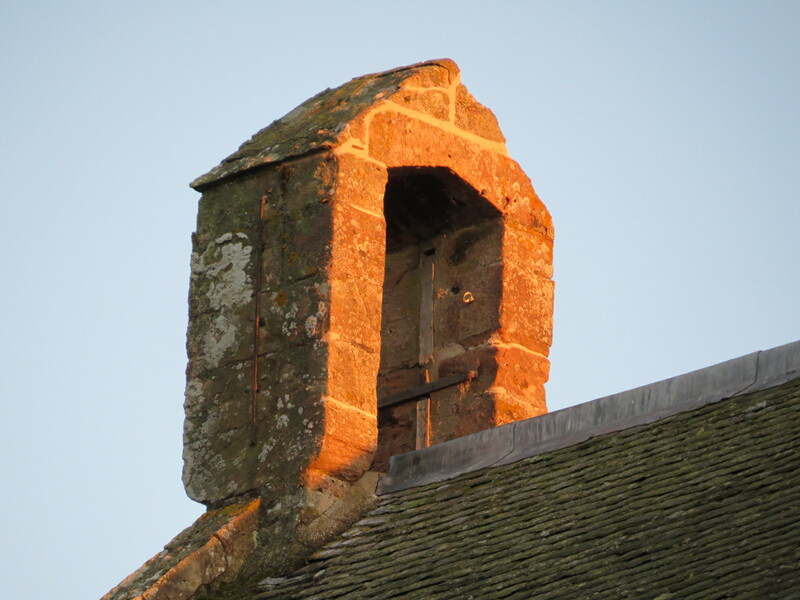 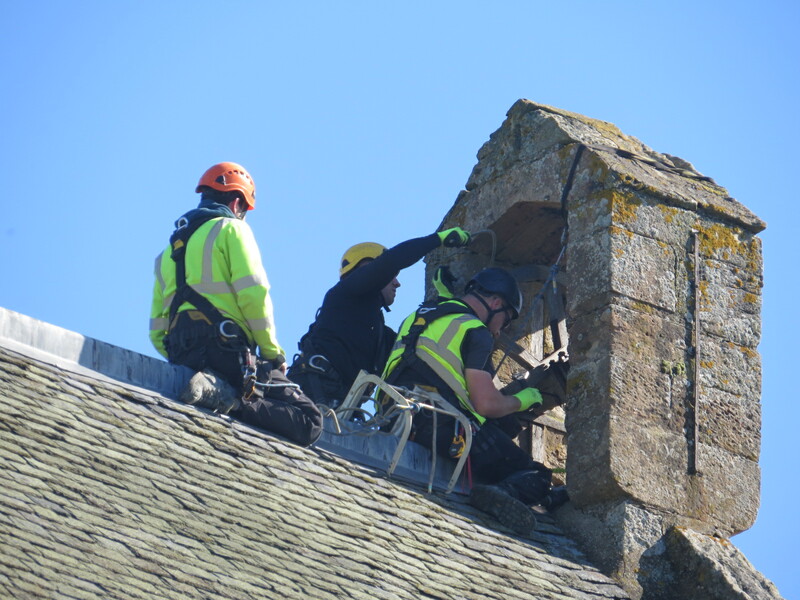 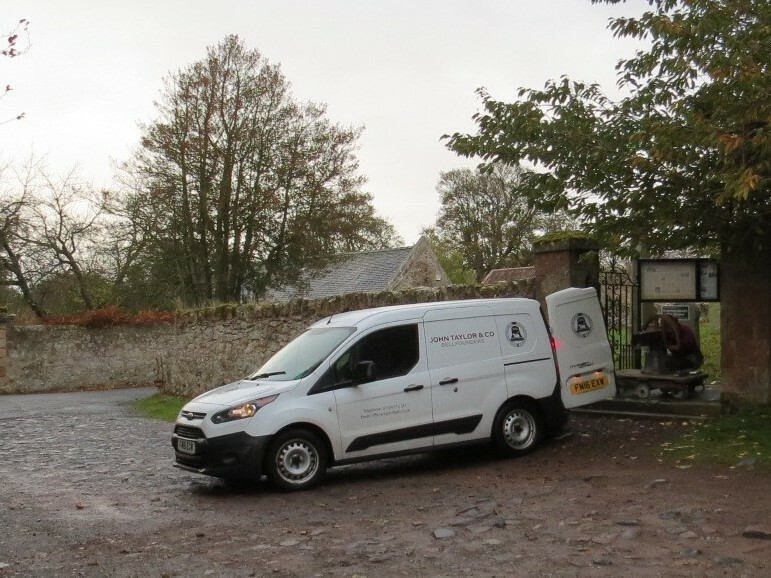 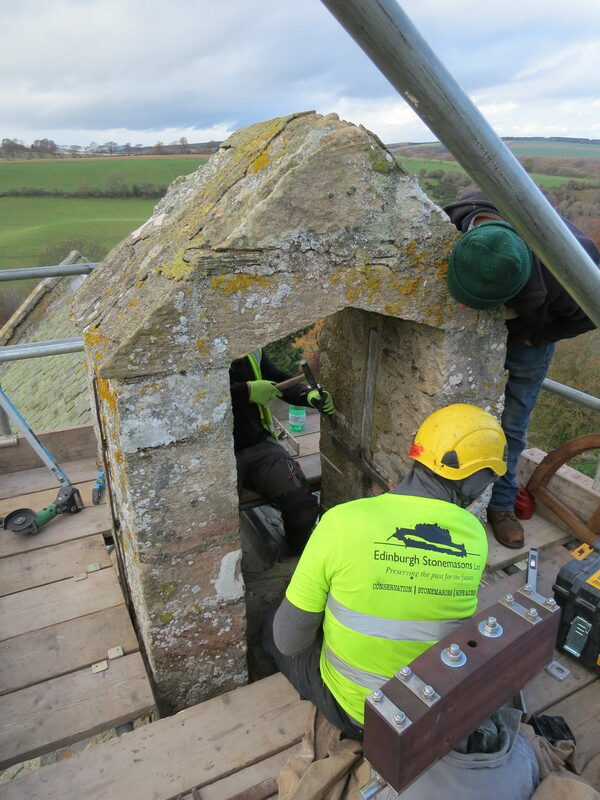 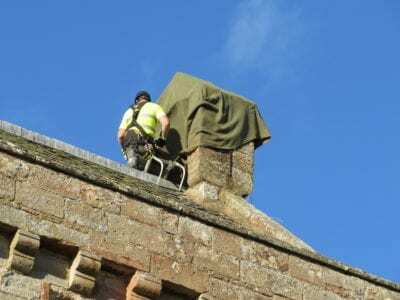 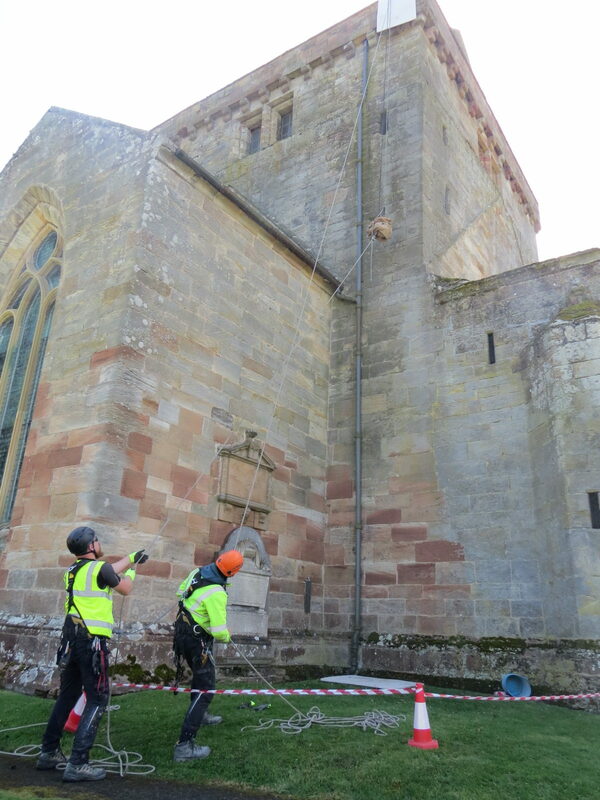 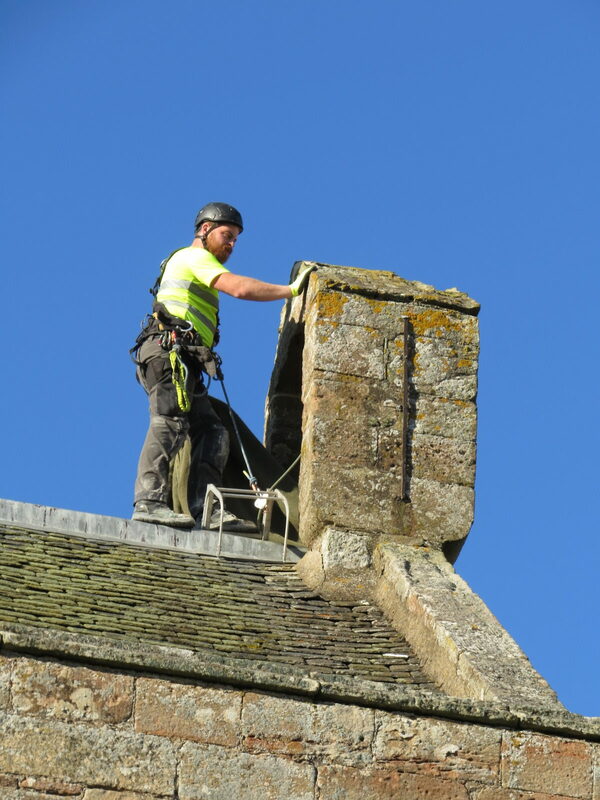 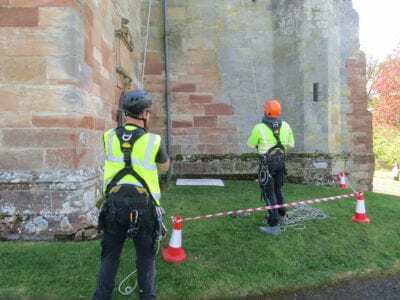 They are specialists in rope access which proved the most cost effective method of removal and being trained in working with lime mortar, were also able to complete the pointing work that was required to the bell cote. 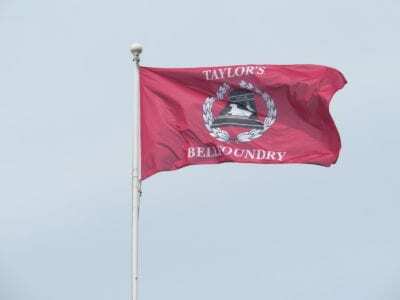 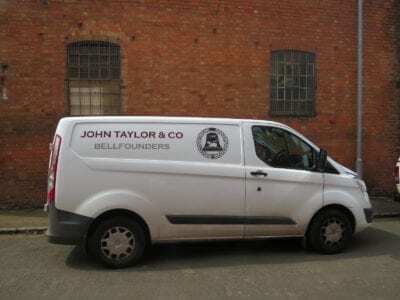 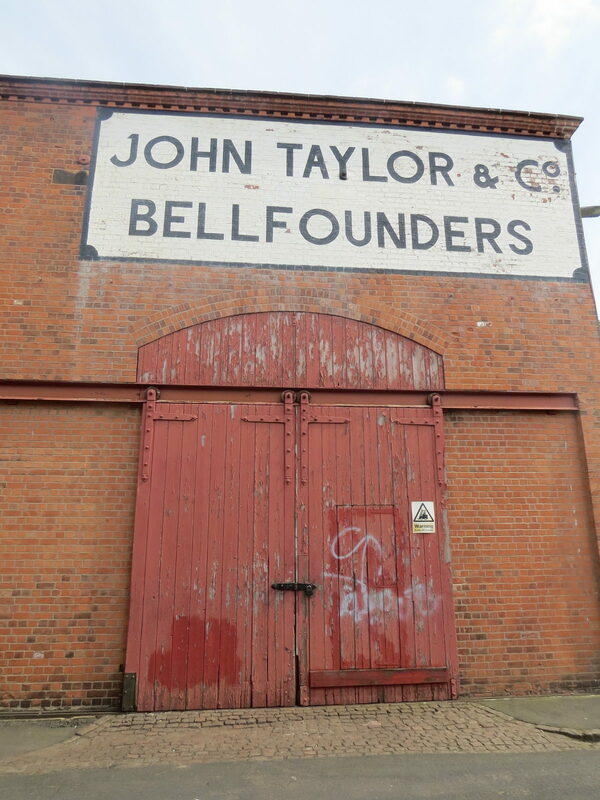 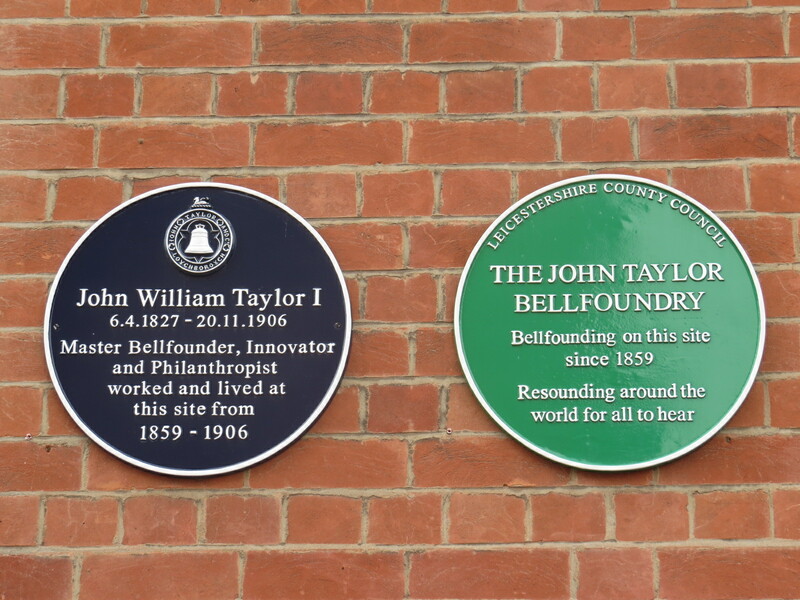 The bell was then transported to John Taylor & Co., in Loughborough, who are the last bell foundry in the United Kingdom where the remedial work was undertaken. 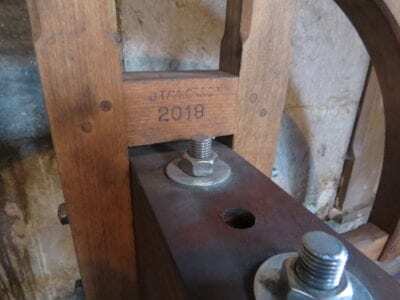 This involved cutting off and removing the embedded roots of the cast-in crownstaple, drilling a stress relieving hole to allow a new clapper and independent crownstaple to be fitted. 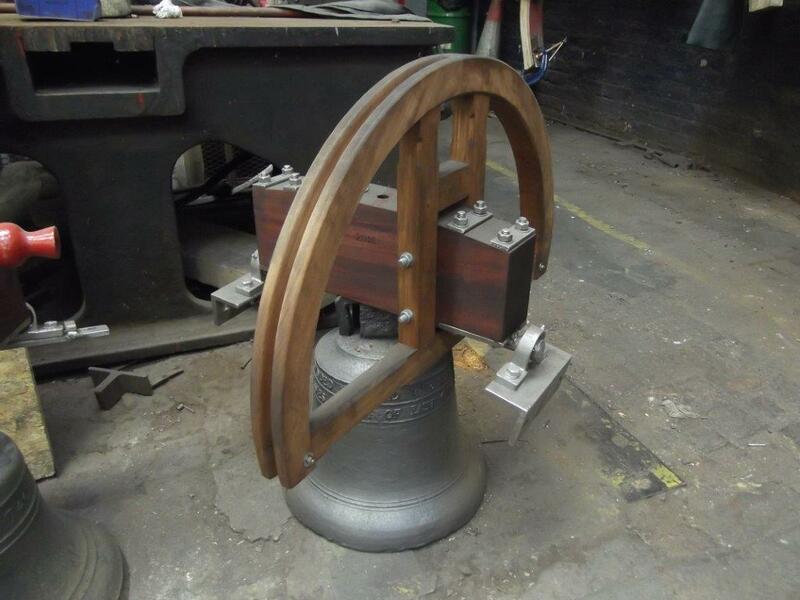 A new hardwood headstock with plate gudgeons, halfwheel, along with associated ball bearings and stainless steel bearing brackets were fitted. The bell was returned to Crichton in October 2018 and rehung in time for the Service of Remembrance and Thanksgiving for Peace marking the centenary of the end of the First World War on November 11th 2018. The Trust gratefully acknowledge the financial contribution of the Garfield Weston Foundation, The Dalrymple Donaldson Fund, The Leche Trust and WREN – The Scottish Landfill Communities Fund, together with the individuals whose support made this project possible.